“Hello Summer” is the name of the latest promotional campaign of Vietnam Airlines which offers up to 70% discount for international flights. The national airlines revealed this promotion will last from mid-September to December 31 this year. With this discount, tourists to Bangkok (Thailand) earn the most benefit that ones only have to pay US$60, while flights to Kuala Lumpur (Malaysia) and Singapore only cost $79 and $99 respectively. In addition, 20-30% discount are applied for longer route such as fights to Taiwan, China, Japan and other nations in South East Asia. 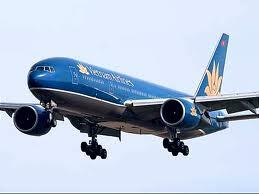 Vietnam Airlines is the biggest airlines in Vietnam with 46 international and 37 domestic routes. In recent year, the focus of the airlines is on Indochina region by operating direct routes to Siem Reap and Phnom Penh (Cambodia); and Vientiane and Luang Prabang (Laos).